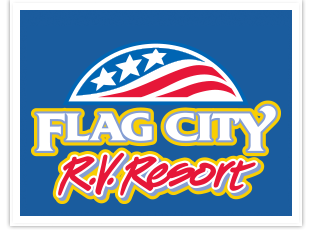 Flag City RV Resort offers a great location for visitors to Lodi, Stockton, and Sacramento. 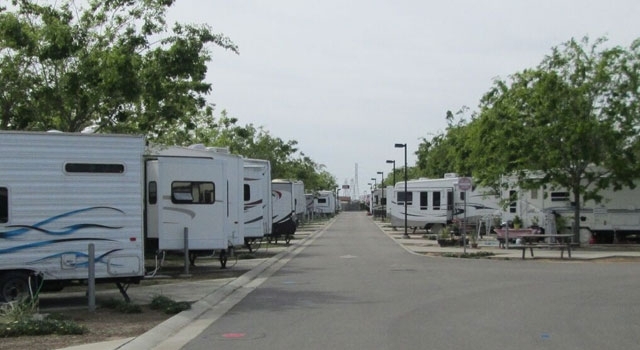 The RV park was designed with the big rig RV traveler in mind, including wide paved roads, concrete pads, full hookups and more! 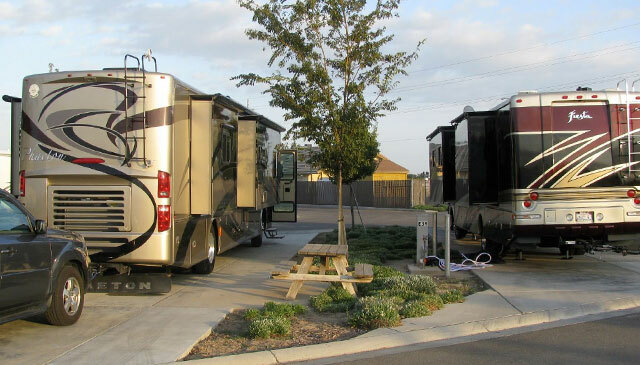 We’ve received top campground ratings from Good Sam for years. Click here to see our resort facilities and RV site amenities. 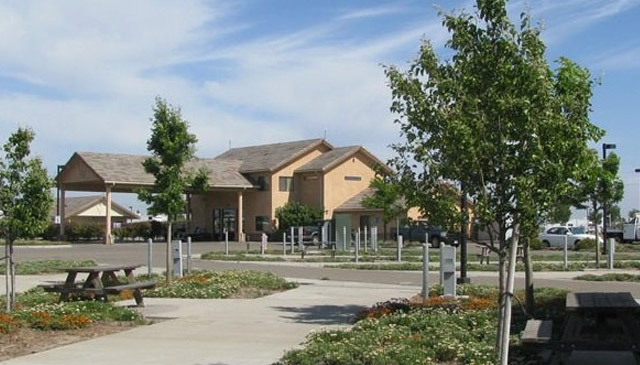 Located at the junction of Interstate 5 and California’s Highway 12, in the Flag City Travel Plaza – providing many traveler services and easy freeway access. 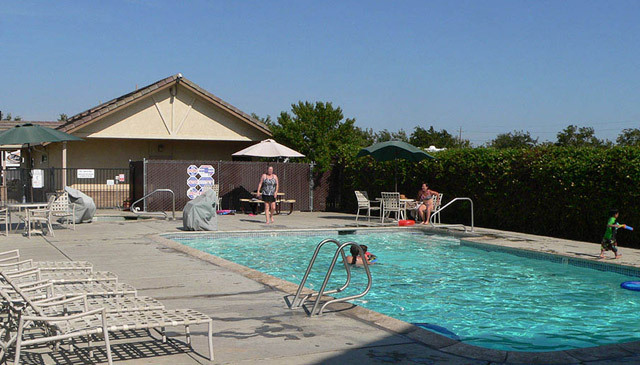 A perfect base camp to explore the attractions of Sacramento, the California Delta, and the San Francisco Bay Area. 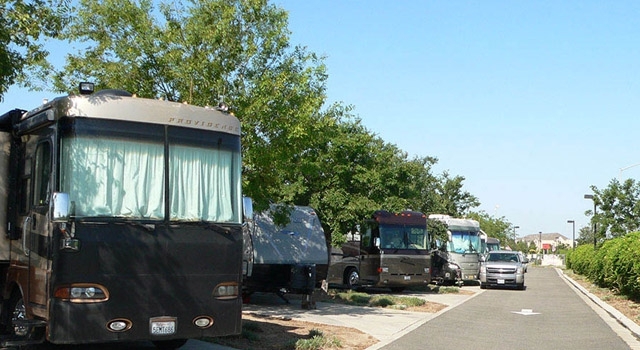 Our park is on the edge of Lodi Wine Country, best known for big bold reds, particularly old-vine Zinfandels. 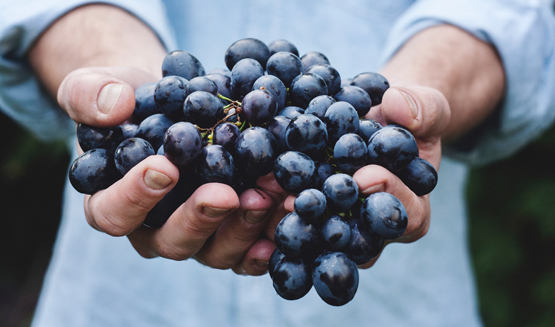 Stay with us to experience tastings or winery tours year-round. Our central location is perfect for day trips to visit many of California’s popular destinations and lots of colorful local events; from fishing to cultural events, golfing, boating and a lot more! The park’s modern facilities and many amenities PLUS good service equals a great value for RV travelers and visitors. Our rates are so reasonable we encourage you to contact us right away for help in selecting your site. 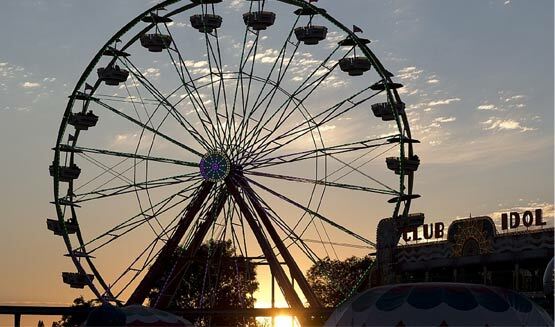 Or use our online form to tell us your preferences and date of arrival. 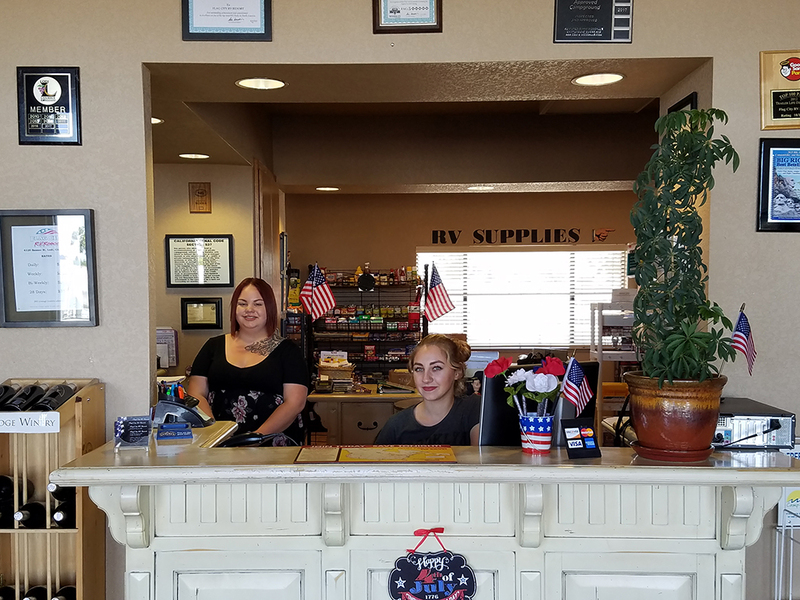 Our friendly staff welcomes your call to make your reservation. 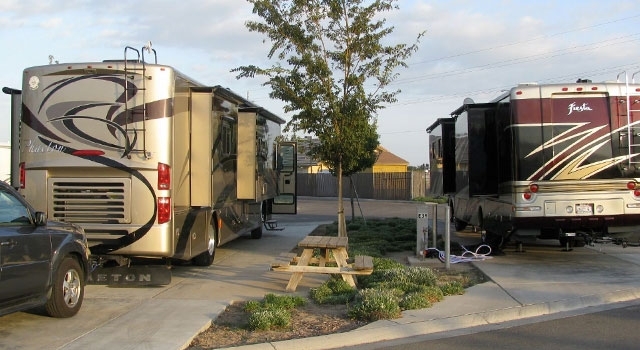 This RV Resort is a great place to stay overnight with your RV. I stayed here to rest overnight on a road trip. The place is very clean and the staff here are friendly and efficient as I was checked into my space in a matter in 5 minutes. Nice level site with plenty of room for slides and tow vehicle. Conveniently located at I-5 and 12. Easy in and out. Nice pet area. Easy access off I-5. 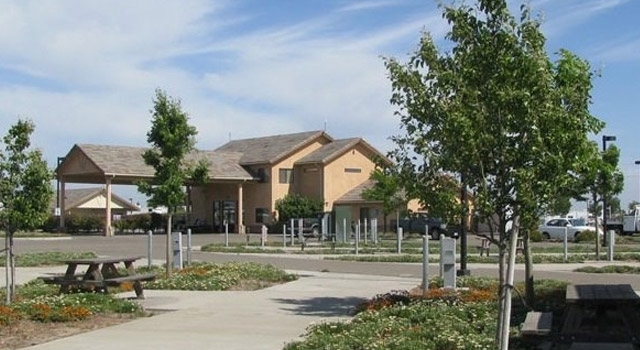 Paved streets and nicely landscaped concrete, level sites with full hook-ups. Daily trash pick up. Check in was a breeze. 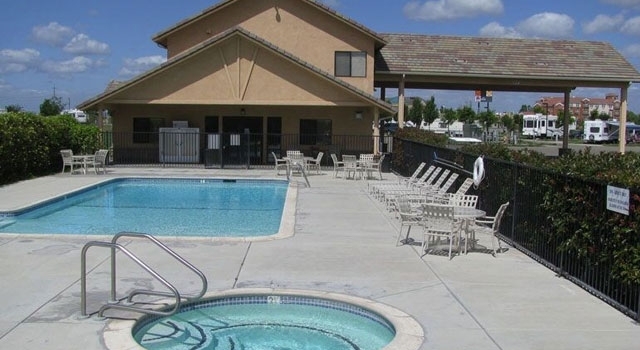 Clean pool and hot tub near the main office. Great place for an overnight or even a few days respite.